This is a recommended book for Project 8 so I arranged to borrow it through the State library system. 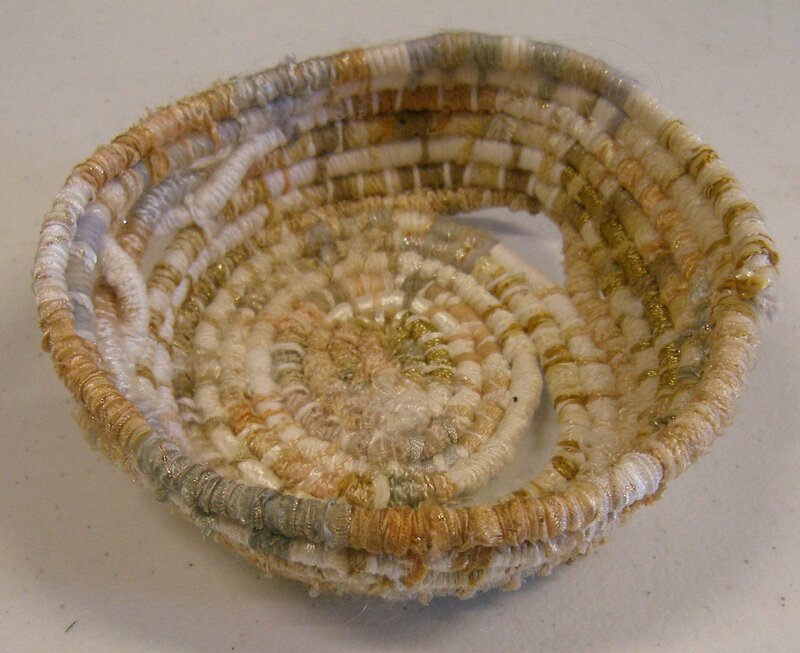 As the title suggests it concentrates on simple techniques such as knotting, twining and coiling; techniques that can be used with little or no equipment or machinery. 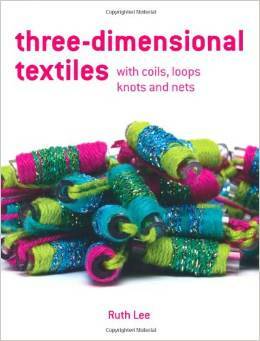 The author, Ruth Lee, sets out the basic elements of each technique in dedicated chapters and then shows how the techniques work in two dimensional and then three dimensional forms. The really interesting parts are where techniques are combined or worked in unusual materials such as the twined vessel below made from twisted paper tape and electrical cable. 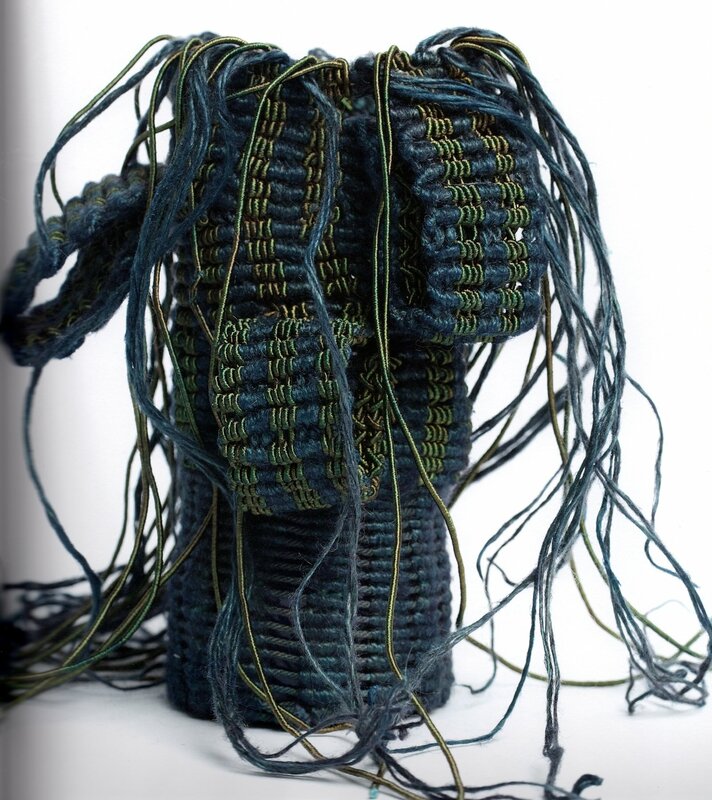 The elements I like about this book are that it covers the basics, with clear diagrams of knots for example and instructions on how to deal with yarn ends, but Ruth also includes sections throughout the book on Moving On, Further Experimentation and Design Decisions. These sections give hints and pointers for how a textile person can take ideas forward but without giving a set blueprint, leaving the artist free to make their own decisions using the book as a tool and source of methods. The photographs throughout also show a wide range of ideas that can act as a springboard for further development. 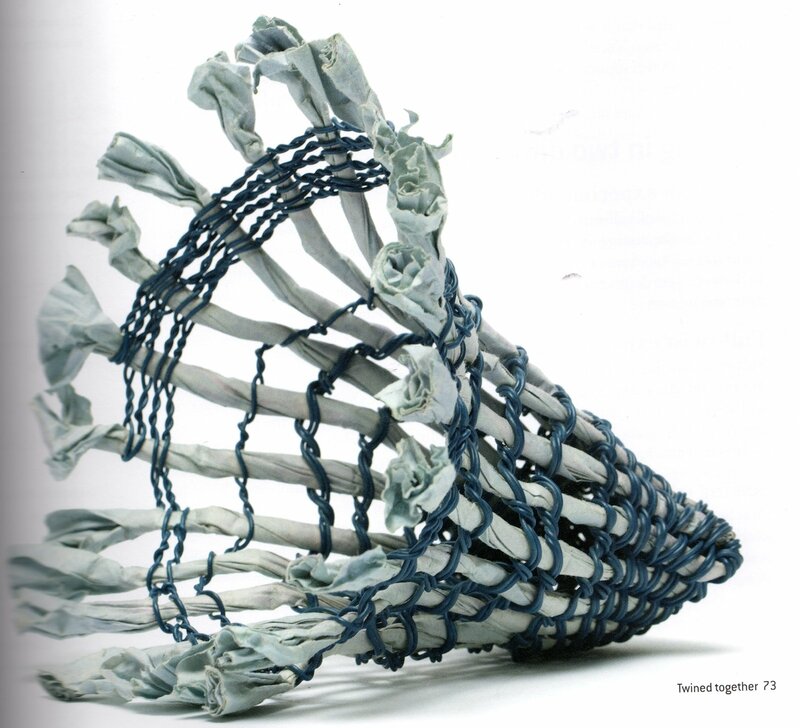 The photo below is taken from the chapter on knotting. The small coiled bowl from wrapped piping cord that I made for Assignment 4 Project 8 Stage 2 Exercise 2 is based on the Coiling in Three Dimensions section from this book (bowl pictured below for easy reference).